Disruption is an often-used term to describe an innovation or disturbance that interrupts, or even up-ends, an existing activity, process or market. At its most severe, disruption can completely alter an industry, displacing companies, products and people that may have been enduring for many years. Nowadays, disruption is commonly linked to the technology sphere. For some, the label suffers from overuse as countless new products instantly claim ‘disruption’ — a marketing tactic rather than true intervention. Though, despite the ubiquity of the word, it’s hard to argue against the truth that disruptive technologies are increasingly transforming business models, revenue streams, customer relationships and service. Rather than just the exception, is disruptive market change becoming the new normal? Indisputably, it is vital that companies maintain pace with rapid change to the technological landscape — to ensure they continue to thrive in disruptive times. Blake Eskew, vice president, Oil Markets, Midstream, Downstream, and Chemicals at IHS Markit, tackled the contentious issue of disruption within the oil industry during a presentation at the Annual Meeting of the Independent Lubricant Manufacturers Association (ILMA) in Palm Desert, California, U.S.A., in October 2018. IHS is a large research and consulting firm that provides comprehensive historical and forward-looking data and analysis on downstream global markets. Eskew, who holds an MBA from Columbia University, and a Bachelor of Science in Chemical Engineering from the University of Texas, highlighted three specific areas of disruption that may have sizeable implications for all players within the industry, the first of which is a major transformation of bunker fuel supply and availability that is set to take effect in 2020. Multiple options are available to shippers to comply with the new regulation. A small number will convert to liquefied natural gas (LNG), ethanol or alternative fuel; some will buy low-sulphur fuel when it becomes available in 2020; and others will put ‘scrubbers’ or exhaust gas cleaning systems on their vessels that allow them to continue using existing fuels. No doubt, a proportion will roll the dice and choose not to comply hoping for negligible enforcement. At this stage the IMO is parading a strict enforcement policy around carriage from 2020, despite the fact that fuel specifications are not available until March 2019. Shippers trying to ascertain what they are going to burn, and refiners desperately working out what to produce, will need to wait another few months. Of the 120,000 ocean going vessels in the world that burn fuel, three-quarters use marine diesel. The regulation does not cause a significant technical problem for these vessels. Of the 30,000 remaining, 80% of high sulphur fuel is burned by approximately 10,000-12,000 ships. Adding scrubbers to these 10,000-12,000 will “make the problem go away,” says Eskew. The issue, he says, is the sector is “not doing it and only quibbling about it.” Further, the industry only has the capacity to install 2,000 scrubbers per year. Clearly, the shipping industry is not going to be ready in 2020. Uncertainty leaves the refining industry in a similarly difficult position, tasked with ceasing the manufacture of high sulphur fuel. Yet, converting high sulphur fuel to low sulphur fuel is an uneconomic process, particularly when ships are likely to add scrubbers and aide the return of the high sulphur fuel market within the next five years. Refiners have little incentive to make the high sulphur fuel go away through investment. IHS predicts a decrease in heavy high sulphur fuels from the current three million bpd, to one million bpd by 2020. 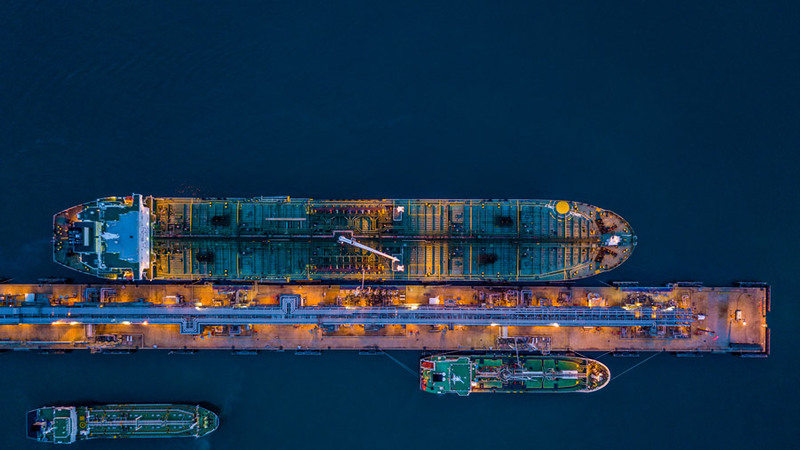 Group I base oil manufacturers, particularly in Europe, are going to suffer from the change, says Eskew, while hydro-processing Group II and Group III base oil plants are the beneficiaries, thanks to the changes in light and heavy refined product prices expected to accompany the IMO sulphur reduction program. Perhaps the most pronounced disruption outlined by Eskew is the advancement of mobility technology and the intense competition between petroleum versus electricity. Countries have moved swiftly to implement policies that mitigate the impact of fossil fuels. 90% of the world’s vehicle countries have efficiency targets either in place or scheduled, says Eskew. Almost every country in Europe has waged a war on fossil fuels to eliminate the sale of petroleum fuelled vehicles, typically by 2040. China is the frontrunner in the electric vehicle race, with the largest volume of electric vehicle sales, as it seeks to become the next great power in vehicle production. By 2040, IHS predicts “well over half of global vehicles sales will be fully electric, plug-in hybrids or some form of mild hybrid vehicle.” The fleet on the road will still be dominated by gasoline or diesel engines — owing to a 12-year average lifetime of a vehicle. This is good news for those heavily invested in the fossil fuels industry. IHS estimates a loss of half a million tonnes of motor oil from the light duty fleet by 2040, approximately 7% of total passenger car motor oil and 1% of total lubricants. Texas-based Eskew also acknowledged an interesting convergence between the acceptance and development of autonomous vehicle technology, growth of battery-powered vehicles, and the growth of mobility as a service. The advancement of autonomous vehicle technology and mobility services is not necessarily driven by policy or sustainability ambitions, he says. This is purely economics. Over half of the cost of a vehicle is the driver. By removing the driver, it is cheaper to use a mobility service than it is to own a vehicle. As acceptance of autonomous vehicle technology grows in the general population, there will be huge economic pressure to implement autonomy, says Eskew. The final disruption outlined by Eskew was a volatile crude oil price. In early October, the price of crude hit a four-year high of more than USD86 per barrel. “The reality is the biggest thing driving the [crude oil] price right now is the return of the Iran sanctions,” said Eskew at the time. Since the sanctions, exports have fallen about half a million bpd and IHS anticipated another 600,000 bpd decline in the next few months with increasing political pressure. With the loss of a 1.1 million bpd, in an already tight market, it is no surprise prices were rising, says Eskew. Though, the impact of the sanctions could be worse. The Iran sanctions entered a market with a “fairly calm” demeanour, says Eskew. Normal disruptions over the past few months have been about a million barrels a day less than a year ago, suggests Eskew, while warning of the real possibility of higher oil prices in the advent of any major new disruptions. It is difficult to foresee a return to lower prices, or an oversupply situation, in the near term if sanctions remain in place, he says. The United States is already close to becoming the world’s largest oil producer, a position in stark contrast to its standing in the world energy market a few decades ago. Tightening of the crude oil market presents further opportunity with U.S. tight oil able to satisfy a shortfall in crude. Higher oil prices make tight oil more economically feasible. Eskew forecasts a “very steep ramp up in tight oil and U.S. crude production in general over the next two years,” with 2018 estimated to be one million bpd higher than in 2017. However, despite the Iran sanctions, and with the U.S and Saudi Arabia recently stepping up output, there is now a growing sentiment that worldwide markets are sufficiently supplied which has realised a sharp correction in the international crude benchmark to a year-low of USD58.80 in late November. In recent comments, IHS has noted the significant volume of waivers granted to the Iran sanctions along with weakening global and Chinese economic growth as factors contributing to the recent oil price correction.